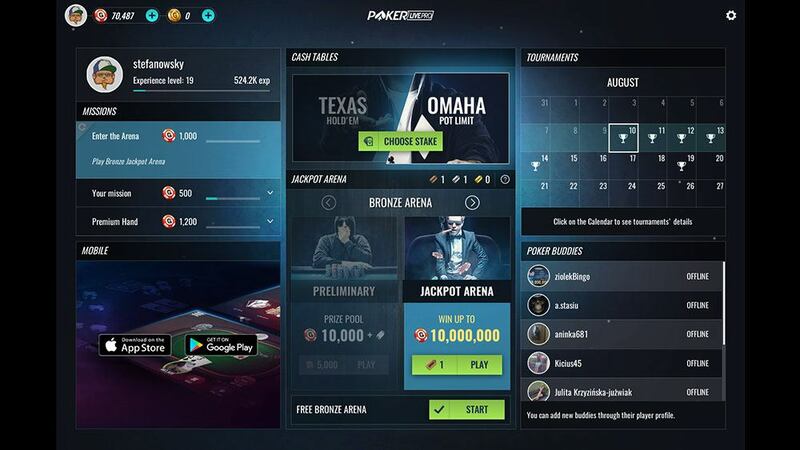 Poker Omaha by GameDesire - Play online for free! Start the game! Omaha is very similar to Texas Hold'em, with one major difference: you get 4 hole cards instead of 2! This game is intended for use by adult audience for amusement purposes only. Poker Omaha does not offer real money gambling, opportunity to win real money or anything of value. Practice or success at social gaming does not imply future success at real money gambling. Make the best 5 card hand using 2 of your 4 hole cards and 3 of the 5 community cards. More cards means better hands and more complex strategy. There’s a reason why many players find Omaha more satisfying than Hold’em. Challenge your friends or play with thousands of opponents from all over the world. A great way to learn this complex and interesting game. One of the most popular variations of poker is, of course, Texas hold 'em. In addition to this version of the game, many players still participate in Omaha, five-card draw, and open-face Chinese poker. The most interesting and dynamic variation in the opinion of players is Omaha poker. That is precisely why it is not missing from the GameDesire portal. Omaha Poker: What is covered by the rules? Omaha is a very popular version of poker, which has amassed great numbers of fans. According to statistics, Omaha is the second most popular form in terms of the number of poker players. The rules of this game are very similar to the rules of Texas hold' em. For this reason, people who have ever played poker grasp the rules quickly. However, the similarity of the rules does not mean that familiar strategies will guarantee success. The greater number of good hands that can be created while playing Omaha mean that the game progresses quite differently. Players themselves say that Omaha is one of the most exciting variations of this game. This is true for both beginners and professionals. The main difference between Omaha poker and Texas hold 'em, is that the player is dealt four hole cards, instead of two in the Texas variation. The board also gets five cards, three on the flop and one each on the turn and the river. In creating a hand, select two cards from the hole and three additional cards from the table. As you can see, the choice of cards is much greater here. As for the game strategy, Omaha is certainly very different compared to Texas hold 'em. The larger number of hole cards means even an average Texas hold 'em player can prove to be pretty good in Omaha. The greater number of cards is more likely to yield a better hand. Be aware that hands such as straights or flushes occur in Omaha very frequently. In Omaha poker you can, as in other types, pass, check or raise during the betting rounds. 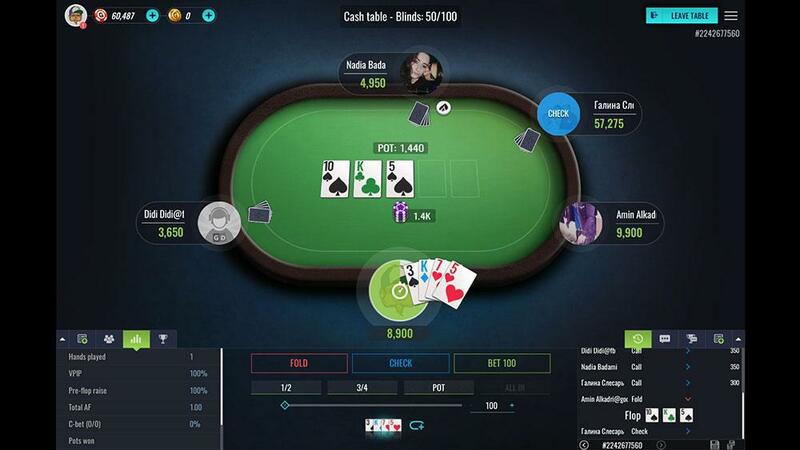 Although it is not allowed raise stakes to such a level as in Texas hold 'em, the winnings may be higher as more players reach the last round and willingly raises the stakes with better cards. Sit down at the table at any time! With the availability of poker at GameDesire, you can always join exciting play with other users at one of the many available tables. In the game you have the SIT&GO option, allowing you to join a game instantly. With the "Play Now", you should remember to pay attention to the stakes on the table, which indicate how much you may win or lose in the game. You should also pay attention to your position at the table, which in Omaha has a great impact on your chance of winning. Beginners should start their adventure in poker with lower stakes, to get to know the game, evaluate their real capabilities, and determine strategy. Omaha poker on GameDesire also offers you the ability to manually select the table and the place you will sit. In "Tournaments" you find an ongoing game tournament, which you can join. Poker tournaments offer even more excitement and higher winnings. It is also worth noting that Omaha poker on GameDesire is available for mobile devices. You can download it from Google Play or the App Store, and enjoy the game of Omaha poker anywhere. 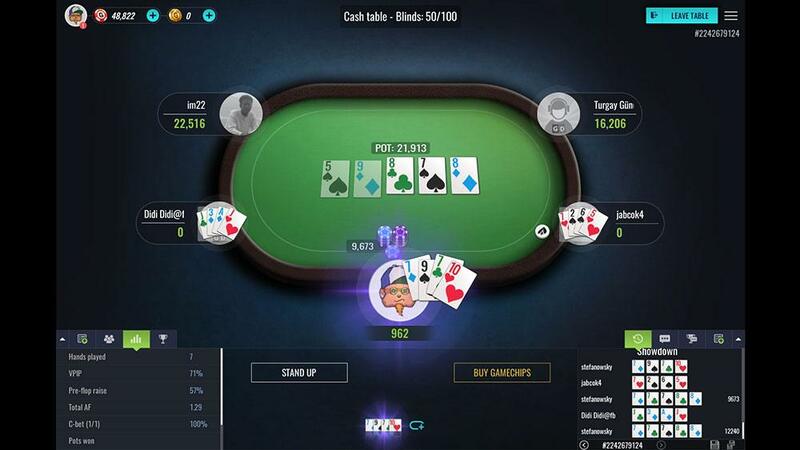 Due to the great popularity of the game, you can join poker battle with opponents from around the world, at multiple tables, playing with a wide range of stakes. The game also helps you to train ahead of live competitions. 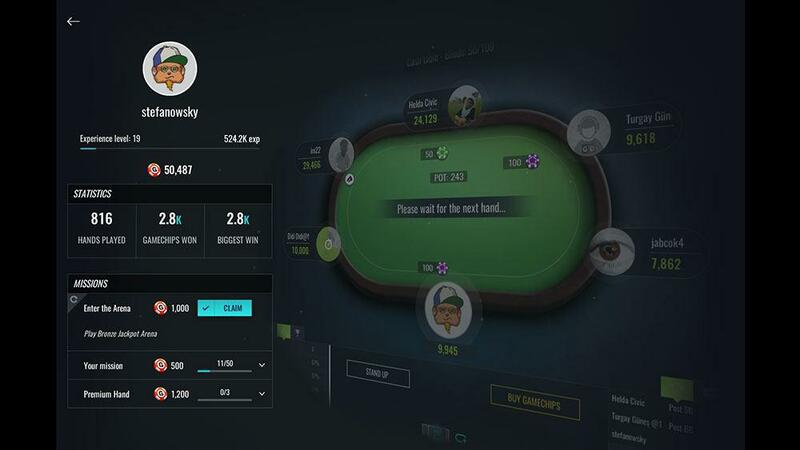 Fast-paced gameplay and the ability to play multiple tables give you the opportunity to test many different strategies and get to know the probability of winning with a variety of hands. Omaha poker will give you many sensations and allow for great training, which in time will help you develop the skills necessary to sit down at the table with real professionals. Omaha poker guarantees sporting emotions at the highest level, and is at the same time great entertainment. How to play Poker Omaha? At start You must choose number of chips. If You want fold click "Fold", check - "Check". In special situations You can stay in game by clicking "Call". If You want bet/raise You can accept the lowest bid or change it by slider or writing requested bid. Chips in pot are visible on center under table.